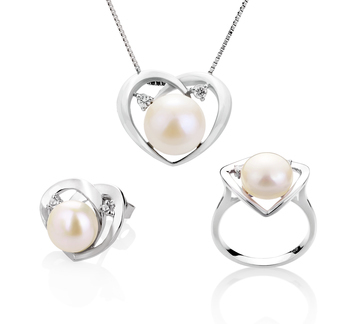 Flair, Beauty and Sophistication – the crossing of the heart shows the love in the large white Freshwater Pearl and Sterling Silver set. 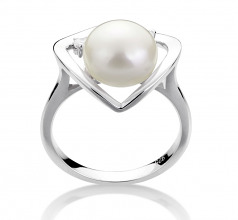 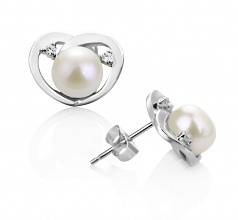 From the Earrings down to the ring, you will be dressed out in the stylish and even blend of the 7-10mm button (AAA) shaped White Pearl surrounded by the .925 sterling silver. Sterling Silver Necklace and Pendant, Ring. 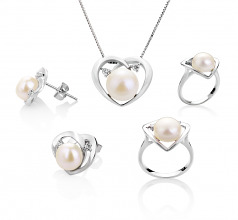 This is a complete set that can be worn together for the ultimate in formal wear or separately for the fashionable and trendy look that will turn any wardrobe into a spectacular design. 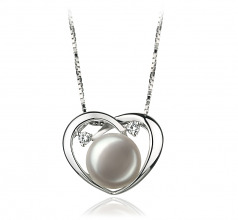 Show only for "Katie Set"